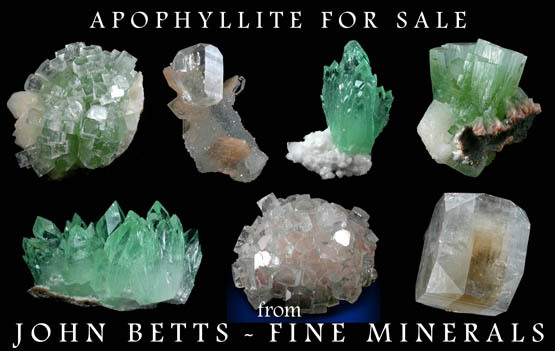 Description: Sparkling pink apophyllite crystals up to 13 mm across on a matrix of green quartz pseudomorphs after pectolite. 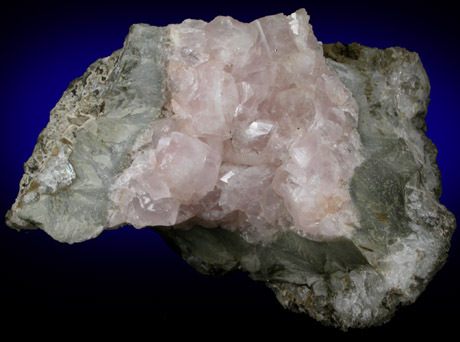 Apophyllite from Millington frequently is pink when found but loses color when it dries. 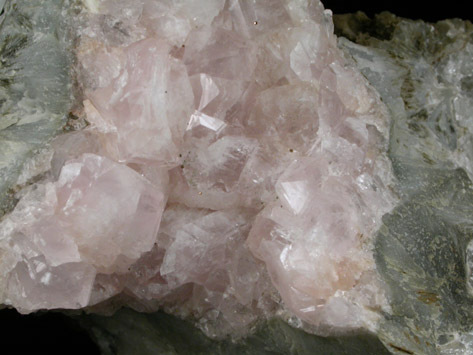 This specimen is still pink.